She told men everywhere that if they like it they should put a ring on it and now Beyonce is telling the ladies to take those rings off if everything is not right. On Wednesday, a snippet of the 33-year-old's second new track from her upcoming album leaked on the internet and already it has tongues wagging. 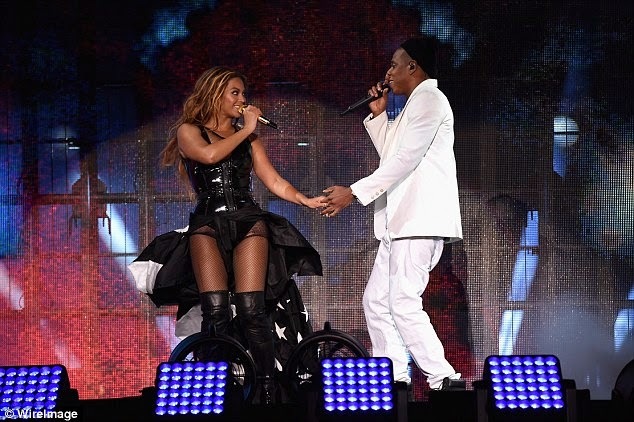 The track Ring Off has once again started the whispers that not all is fine with music's power couple Queen B and Jay Z. While the whole song is still under wraps - only a 30 second snippet hit the web - with lyrics, 'So tired of the lies and trying and fighting and crying,' the song has fans and critics divided over whether it is a confessional or an empowering song. While many on the web have said the song is the latest in Beyonce's female empowerment tracks encouraging a woman to leave a bad relationship others believe that it is the singer's emotional own story about trying to leave Jay Z. The couple have, of course, been plagued with cheating rumours for the better part of this year. However, after putting on a united front during their On The Run tour, renewing their vows last month and most recently looking like the perfect family with daughter Blue at the wedding of Solange Knowles and Alan Ferguson in New Orleans, many felt the couple was back on track. This new song though is once again making people question what they see. Whether it is Beyonce's own sentiments or her telling another woman to be brave and leave, women everywhere have a new anthem to sing. In the snippet, the former Destiny's Child member sings: 'In the mirror you would stare/ And say a prayer/ Like, ''I wish he said I'm beautiful/ I wish it didn't hurt at all'"
Then, in the chorus, she makes sure the world knows things can get better. And, the fun is just beginning for Beyonce fans, as in addition to her emotional Ring Off, a snippet of a another new song 7/11 has also hit the web. This track promises to get everyone dancing rather than thinking about failed love with a trap beat and lyrics like, 'Smack that, clap that...like you don’t care'. 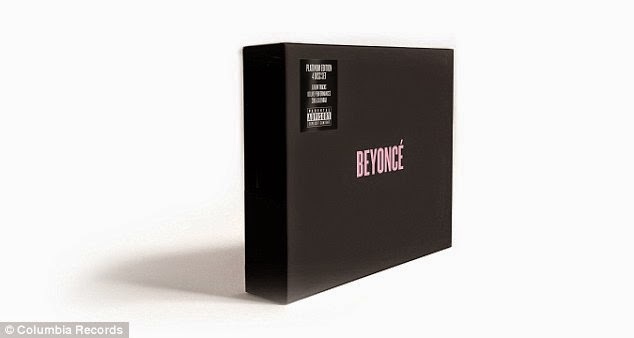 The songs will be included in the star's new BEYONCE Platinum Edition Box Set that is dropping November 24. The box set will feature two CD and two DVD limited edition package of her surprise visual album that she dropped earlier this year, plus four new and unreleased remixes with some superstar collaborators including Nicki Minaj, Kanye West, Pharrell and Mr. Vegas.